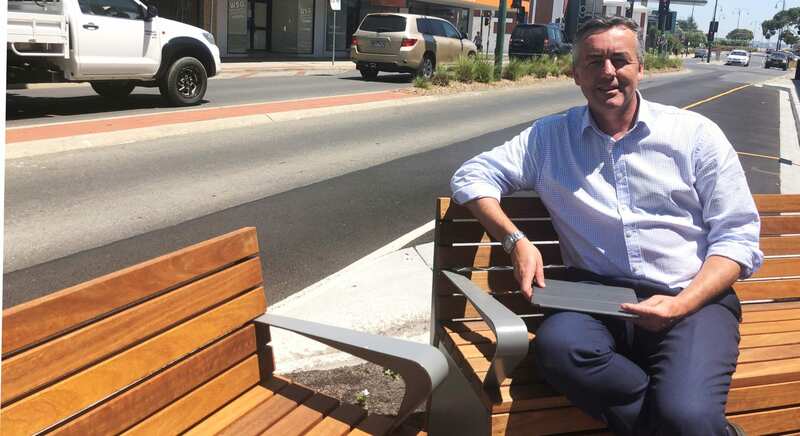 The Federal Member for Gippsland Darren Chester stopped off in Morwell recently to test new seating installed along Commercial Road. The new seating arrangements, called parklets, are part of $3.45 million of streetscape works designed to revitalise the town’s heart. Residents can now tell Latrobe City Council what they think of the seats before more are installed elsewhere in Morwell. Mr Chester secured $1.75 million from the Federal Government for the streetscape project as part of the $20 million Regional Jobs and Investment Package. The package is part of the Commonwealth’s response to the closure of the Hazelwood power station.